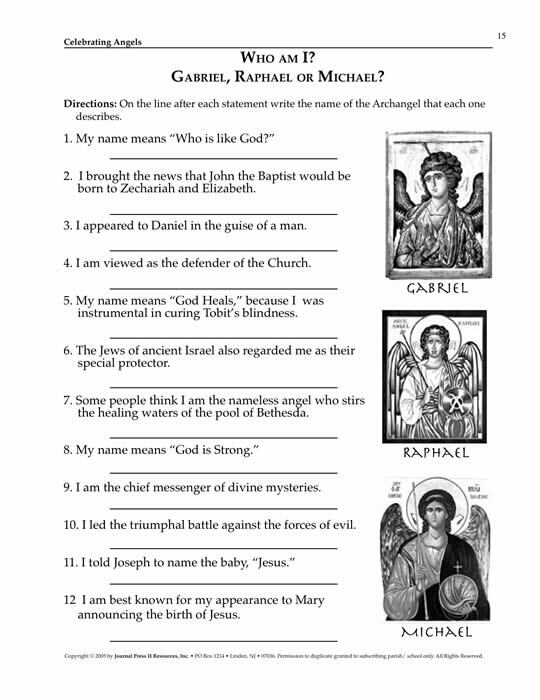 Celebrating Angels is a Master Set designed to help people come to a greater awareness of the existence of angels, special feasts and holy days that the Church celebrates to honor them, and, of Mary, under the title of ÒQueen of Angels.Ó The prayers, activities, projects, and puzzles included in Celebrating Angels focus on biblical stories, theological insights, and Catholic traditions that celebrate Angels. It includes activities and prayers for the feasts of angels whose special days can be found on the Church calendar. ¥ Archangels: Michael, Raphael and Gabriel. 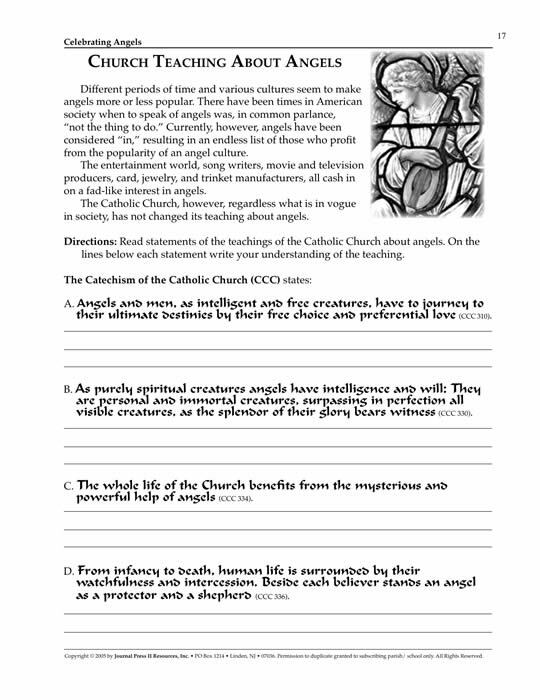 Your purchase (below) will enable the placement of the Celebrating Angels MasterSet PDF on your computer. You will receive an e-mail to enable your immediate download for the set.